Today we are reviewing Lakme absolute white intense concealer and in the shade Medium 03. I do not have any major under eye dark circle issue; however I do feel the need to conceal a bit of darkness and some discolouration on my face hence I bought this Lakme absolute intense white concealer stick. It is an ultralight all over face concealer that masks away dark circles, blemishes and signs of fatigue. It makes your skin look fresh as well as breathable all day long. 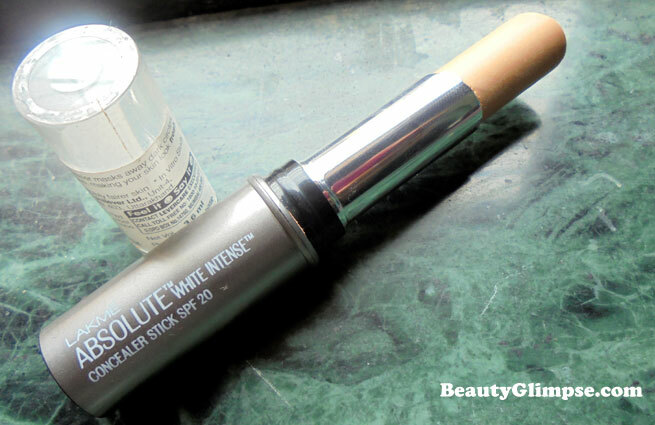 Lakme Absolute White Intense Concealer Stick comes with an SPF 20. Vitamin B3, for visibly fair skin! Packaging: The packaging is very nice, easy to use and travel friendly. It comes in a lipstick like tube with a transparent lid, which is a good thing as it allows getting a glimpse of the shade easily. The bottom is glossy grey and shade is written at the bottom of the tube. 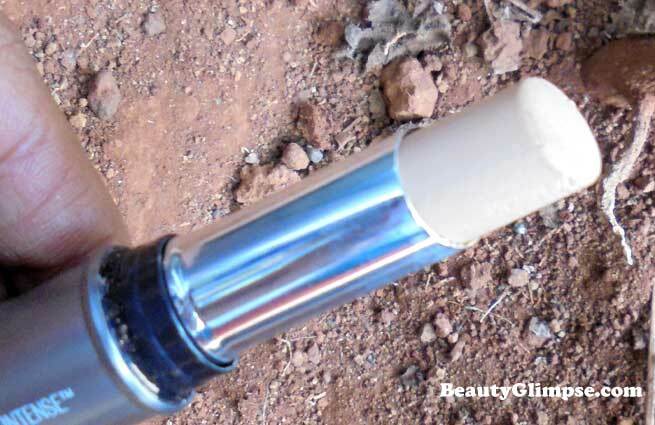 The tube has to be twisted from the bottom just like a lipstick and you can apply it easily. Price: Lakme Absolute White Intense Concealer Stick SPF 20 comes at INR 450/-. You get at discounted price online. Availability: Easy, available at all Lakme stores and online too. Direction to use: Simple glide on the concealer on the dark circles and other areas that needs concealing. I have picked up the medium 03 Lakme concealer and it works strictly okay for me and that is because I am not so happy with the shade I chose. That is just my case; it might turn out to be quite well for the others! The consistency is matte of course, which means you need to moisturize your under eye area very well before you apply this concealer. It has a sweet citrusy pleasant smell. I did apply it minus moisturizer and the result was not at all good as it settled down in between the lines of my under eye area which made it look quite uneven. It is easy to use and glides on well on the skin. 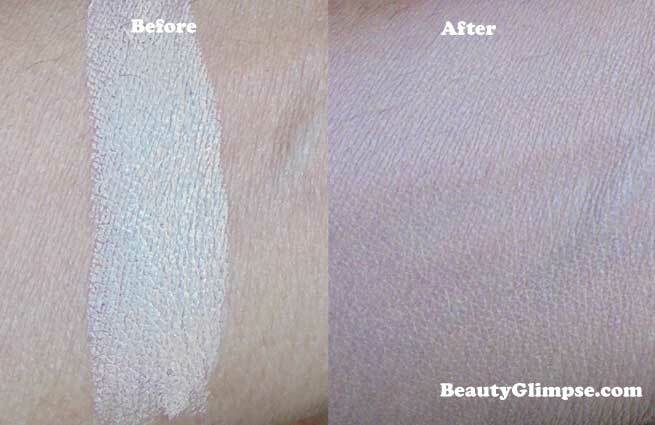 Coverage is light to medium, so not a great choice if you have pigmentation or deep scars. It does not leave any white cast so, yay! It has a powdery finish which means a good choice for oily skinned girls and for dry skin, a moisturizer is a must prior to the concealer application. I feel it is a decent product if you manage to get the right shade for your complexion. Maybe as I have an oily skin, but definitely some other shade. Overall Lakme Absolute White Intense Concealer Stick is a decent concealer, but not all that great that i would drool over! If you need an affordable concealer with medium coverage, then you may go for Lakme Absolute White Intense Concealer Stick.